Over a billion people globally lack access to clean, safe drinking water; a large percentage of that figure are located in developing countries. At any given time, half of the world’s hospital beds are occupied by patients suffering from diseases associated with lack of access to clean water, sadly 3.4 million people die each year from scarce and contaminated water sources. A group of young Nigerian entrepreneurs, who received support from AlphaHUB have developed a Smart System that will detect water contaminants, purify the water and automatically dispense it via a smart card. AlphaHUB(alphahub.ng) an Innovation centre, located in Kaduna State (Northern Nigeria) dedicated to drive research and development in Hardware and Embedded System Technology, has really kept to its vision and mandate; as few months from its inception they already achieving great strides. The Founder/CTO of Digitaps, Mr Isaac Imoh said DIGITAP will be a leading piece of technology in the fight against poverty through water filtration and purification,as there are no examples of countries that have eliminated poverty without first solving their scarce and contaminated water issues. Mr Isaac Imoh said, Digitaps is a Turnkey System that is portable and powered by Solar. 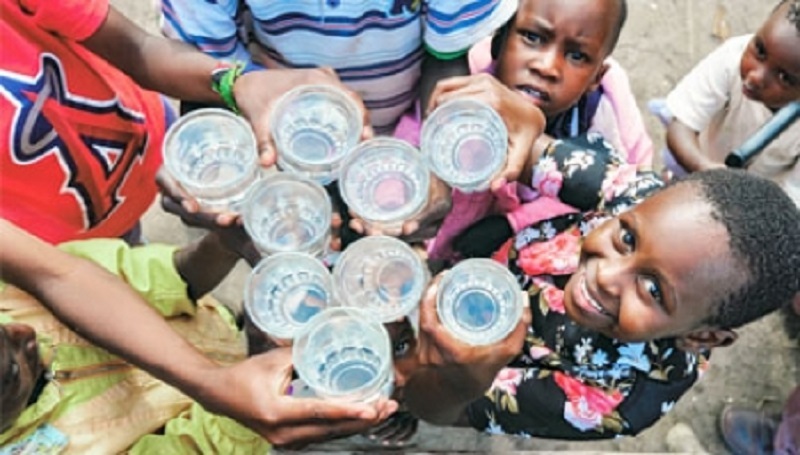 The System takes in water from any source (borehole,river,stream) and using a ultrafiltration technique it purifies the water and makes available for consumption, thereby eradicating common diseases like Cholera,diarrhea and lead poisoning. The CTO concluded by saying “In most developing regions, there is not a lack of water, but a lack of access to clean water; by creating access to clean water to millions of people, Digitaps can enable prosperity to take hold GLOBALLY.